Pepper human interaction robot. 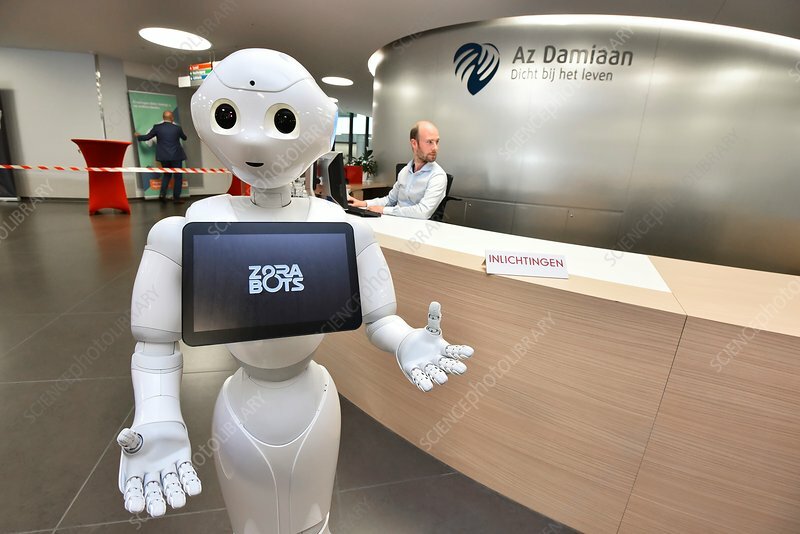 Humanoid robot named Pepper during a demonstration at the AZ Damiaan hospital, Oostende, Belgium. This robot, designed by Zorabots, is designed to interact with clients to provide information and show them the way. It's the first robot of its kind. Photographed on 14th June 2016.